Rising up before you as you approach Warwick from the south, along the Banbury road, you will see a spectacular sight: that of Warwick Castle, perfectly preserved ancient fortress, later transformed into a stately residence. The south-east side of the castle commands a cliff on the opposite bank of the River Avon, as you enter Warwick. It is best viewed from those on foot, or seated high enough to look beyond the stone parapets of the bridge. But, to my mind, the most awe-inspiring view may be obtained by standing on the river island bridge inside the castle grounds. The massive walls soar up from the water; and above them the buildings which house the state rooms of the castle are situated. From this point you gaze along the river back in the direction of the road bridge; you will see the mill and engine house, and just beyond it the whitewater of the weir, where groups of cygnets will be galvanizing themselves to take the plunge. Beyond that you will glimpse the ruins of the medieval bridge, which are best observed from the decking outside the mill and engine house. This was the original bridge which for four hundred years formed the main approach to Warwick. It was built in the fourteenth century together with a toll booth. The site of that toll booth is now in the glorious Mill Garden, another location from which you have an outstanding view of the Castle. Once the new wider bridge was built over the Avon in the 1780s, the medieval bridge was sealed off and later partially demolished to form a picturesque ruin. The first fortification on the land where Warwick Castle now stands was built in 914 by Ethelfleda, daughter of Alfred the Great, with the purpose of keeping out the Danes. Subsequently William the Conquerer took it over as a site for one of the many motte and bailey forts he established throughout England. The mound on which these fortifications stood remains today as a prized element of the estate surrounding Warwick Castle; and indeed when Lancelot ‘Capability’ Brown was commissioned by Francis Greville, Earl of Warwick from 1759 to 1773, to landscape the grounds, he suggested making the mound an important aesthetic feature, by ordering ornamental trees to be planted down its slopes surrounding the spiral path. The first owner of the castle was, naturally, one of those who supported William the Conquerer; namely, Henry de Newburgh, Constable of the Castle from 1088 to 1119. But it was really only when the first member of the family de Beauchamp inherited the castle, beginning with William de Beauchamp in 1268, that a dynasty with significant influence in the affairs of the nation commenced. From then on, through the Beachamps and the Nevilles and the reign of Edward IV, it is true to say that any individual who could be addressed My Lord of Warwick had a considerable influence on English history: and throughout the generations of Earls, the one to win the most noteworthy place in history books was Richard Neville, holder of the Earldom from 1449 to 1471. He held two kings prisoner during the course of one year, 1469: Edward IV in Warwick Castle and Henry VI in France. It is easy for us to see Richard Neville’s actions as worthy of mirth now but within the complexities and the power struggles of his time these were grave decisions and deeds. It is intriguing to note how the balance of power often seemed to be influenced by the women behind the throne; in the case of Henry VI, Margaret of Anjou, later to be known as one of the she-wolves of English history: and in the case of Edward IV, Elizabeth Woodville and the powerful family behind her. One of the great recurring themes of English royal history is that of betrayal and changing sides. The two Tudor kings Henry VII and his son Henry VIII left the castle to fall to ruins probably because of its associations with that Demon Brood, the Plantagenet dynasty who had preceded them. Sellars and Yeatman, of course, brilliantly summed up the trap into which so many of us can fall, in their comic classic 1066 And All That (first published in 1930). In that slim volume they gave us: A Memorable History of England, comprising all the parts you can remember. Of Richard Neville they say: Any baron who wished to be considered king was allowed to apply at Warwick the Kingmaker’s, where he was made to fill up a form. Richard Neville held sway more than any other Earl of Warwick before or after him, helping to depose both Henry VI and Edward IV. He also brought about the Readeption of Henry VI, to the great astonishment of Henry himself, for one year in 1470-71 before Henry was ‘put to death’ (or died of melancholy, as some would have it) in the Tower, and Edward IV took over again. Though saintly – and judged by history to have been so – Henry VI was a disastrously ineffectual medieval king. But whilst manipulating the trusting and pliable man who had never wanted to be king, Richard Neville used the magic of Henry VI’s name as a cloak of respectability for his own ambitions. But, in the beguiling manner of English history, his fortunes rapidly changed when he was defeated and killed at the Battle of Barnet in 1471, at which point Edward IV awarded the castle to his own brother, George Plantagenet, Duke of Clarence. The Battle of Barnet is the battle whose extensive preparations we see in the brilliant waxwork exhibition Kingmaker at Warwick Castle. Another much earlier earl of Warwick had been responsible for the treacherous crime committed in 1312 against Piers Gaveston, Edward II’s favourite. Guy de Beauchamp, earl from 1298 to 1315, was one of a group of earls known as the Ordainers who aimed to try and contain Edward II in his excesses, and restrict his abuse of power. Guy was responsible for luring Piers Gaveston, Edward II’s favourite, to Warwick in 1312; and Piers ended up being dragged to Blacklow Hill and slaughtered there. Yet another Earl of Warwick – Richard Beauchamp, earl from 1401 to 1439 – presided over the trial of Joan of Arc, and sentenced her to burn at the stake. This same Richard was also responsible for the building of the Beauchamp chapel in St Mary’s Church, Warwick – so priests could pray for his departed soul. It’s very tempting to speculate that he hoped thereby to assuage his lingering guilt for the part he played in bringing the Maid of Orleans to the stake; but it’s unlikely, of course, that he felt any guilt at all. We must always be careful not to attribute a 21st century conscience to one living in very different times. Now when we visit the Castle, owned by Merlin Entertainments, our introduction to historical matters is via the Horrible Histories maze, which (arousing local controversy) stands in place of the previous Victorian rose garden, and gives great entertainment to many visitors. The intention of Horrible Histories is of course to amuse and amaze as well as inform, but it does mock the behaviour of our ancestors – of which more later in this chapter. One of the other castle attractions is a visit to the State Rooms. After the restoration of the Monarchy in 1660, Robert Greville, then Lord of Warwick, began a period of restoration at the castle, and created there a grand palatial residence. From that time on, the castle rose again from its threatened fate of becoming a picturesque ruin. The first Greville to lavish his wealth on renovating the property and creating new gardens had been Sir Fulke Greville, who held the castle between 1621 and 1628. It seems an undeserved irony that having achieved so much good, he should end up murdered by his manservant Ralph over the matter of how much money he had left Ralph in his will. And Sir Fulke’s work on the new gardens was swept away by his successor who sided with Parliament during the English Civil War. During that period much damage was done to the Castle. But when Francis Greville commissioned Lancelot Capability Brown to transform the grounds in the late 1750s, he made a major contribution to the castle’s power to attract and inspire visitors. Today, as you stand on the river bridge with your back to the island, you see the land sweep upwards to the Peacock Garden, and round to the north-west side of the castle in a way that appeals to our deepest sense of proportion and harmonious design. In fact Warwick Castle was Capability Brown’s first major commission, which launched him on his subsequent career, in which he transformed the grounds of many great houses in England. When we walk round Warwick Castle, whether we tour the excellent Kingmaker Exhibition, admire the Great Hall with its magnificent weapon displays, wander through the State Rooms, walk the ramparts and towers, climb to the Conquerer’s Fortress or watch the Knights of Middle England re-enact the Wars of the Roses, we cannot but be aware of the rich concentration of English history, centred upon this castle. And we might also reflect that it’s no wonder medieval earls and barons and kings were so willing to risk their lives for glory and power and wealth. Everyone would have been intensely aware of life as insecure, short and easily-disposable. That would drive anyone with ambition to an All or Nothing philosophy. Though their pitilessness is undeniable, to all who descend the steps to the Gaol and gaze down the dreadful oubliette into which the unluckiest prisoners were thrown to be forgotten and to die of starvation or madness. But the judgements we pass on historical characters are often suspect. The decisions we ourselves make now – if significant enough to be remembered – will be as easy mocked from a distance of a few hundred years. Looking back to medieval times, if we imagine the complexity of the situations and power struggles within which these personalities sought to reach their goals, all in the context of limited vision, we recognise that they had to make decisions just as we do now with no knowledge of future outcomes. We too will seem equally as self-defeating when viewed from the distance of centuries. A family trip to the Tower of London at the weekend reminded me once again of how much I love visiting English castles. I was trying to account for this in one of my previous posts, but a fellow-writer put it beautifully; when you go round these places you are reassured about the meaningfulness of our lives through the power of story. No matter how grisly and macabre the behaviour of our predecessors was, we thrill to these historical sites. Everyone of all ages can enjoy them, both adults and children – whether or not the latter are currently studying medieval castles at school! And the Tower of London is immensely photogenic. You cannot move a step without itching to capture another angle, another story-filled view. 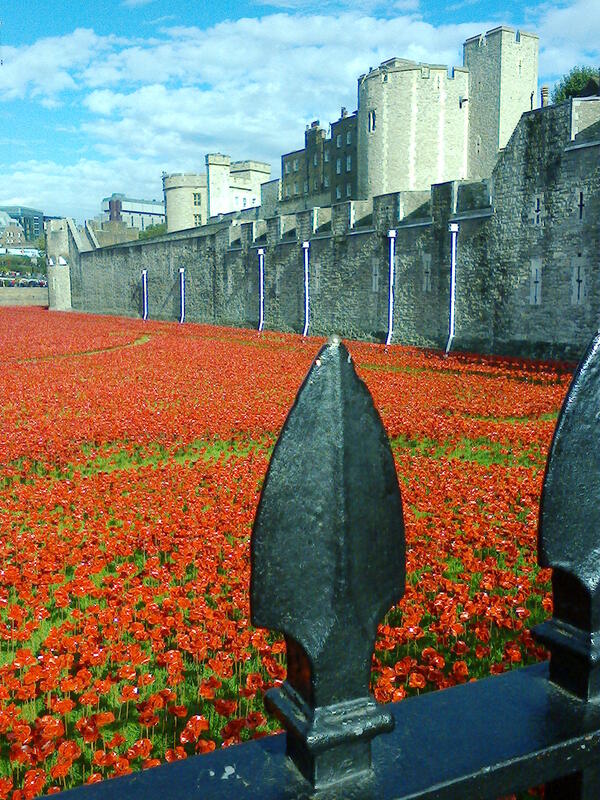 The red poppy installation at the Tower – in which the moat has been filled with 888,246 ceramic poppies in commemoration of the 1st World War – is an awe-inspiring, beautiful and moving sight. 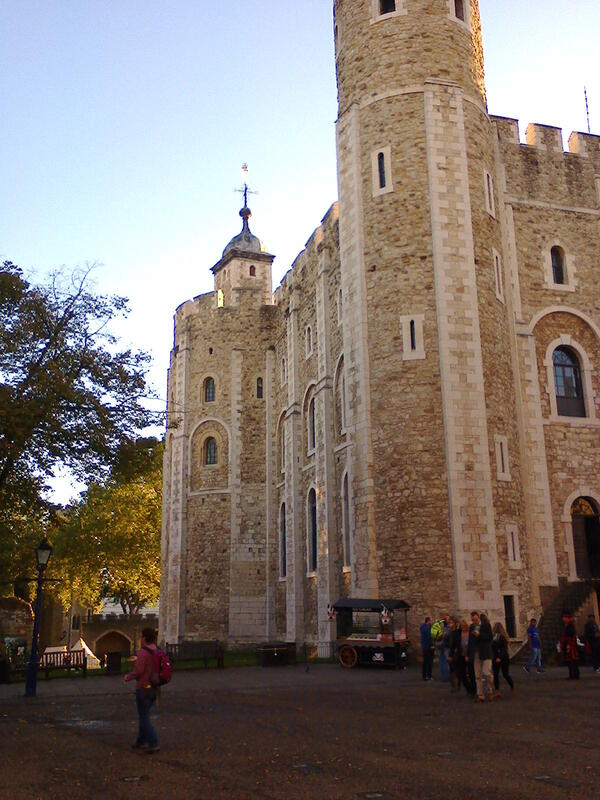 As I am constantly learning more about the Tudors, I feel that the Tower has a tremendous emotional poignancy. 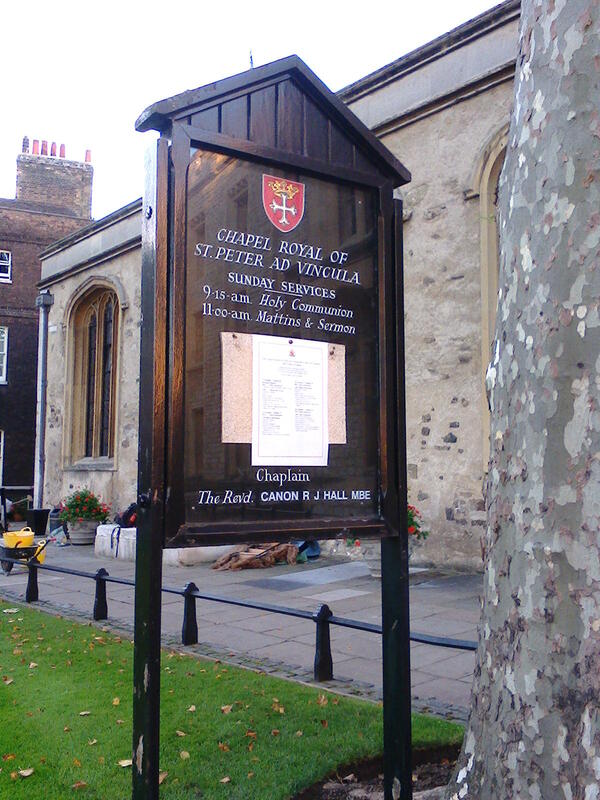 I cannot look at the Chapel of St Peter ad Vincula without thinking of the account I have read of Anne Boleyn’s ladies-in-waiting carrying her body to the chapel for burial, and having to wait several hours for space to be prepared for her beneath the altar pavement – because nobody had actually expected her to be executed; many believed a last-minute reprieve would arrive from Henry VIII. But it didn’t. And Anne Boleyn’s legacy is a very special place in English history – as the chief person that springs to our minds in the same breath as The Tower of London. As I sit here typing these words I gaze over the trees to the top of the tower of St Mary’s Church Warwick. 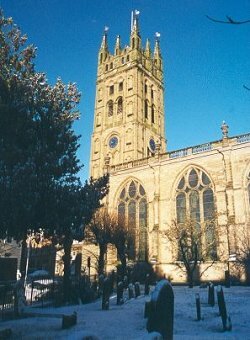 The decorated parapet at the top of this tower is the highest place you can be in Warwick (which is this year celebrating its 1100th anniversary). I’ve climbed to that platform and gazed down over the Beauchamp Tower of Warwick Castle. We live on a hill to the north of Warwick town centre and following our neighbours’ removal of some trees, we now have a new view across to that tower. I can see it now from where I sit as I type these words. I find it uplifting and inspiring. The tower of St Mary’s can be discerned from miles away. It’s the first landmark which announces that you’re approaching Warwick, when you travel from Stratford-upon-Avon. Warwick has a number of claims to fame in English history; we may think of Richard Neville, known as Warwick the Kingmaker (as Sellars and Yeatman remark in their comic classic 1066 And All That, “any baron who wished to be considered king was allowed to apply at Warwick the Kingmaker’s, where he was made to fill up a form“); we may think of that treacherous crime that was committed, when Piers Gaveston the King’s favourite was lured to Warwick Castle by the Earl of Warwick and ended up being dragged to Blacklow Hill and horribly slaughtered. An Earl of Warwick was responsible, too, for the trial and sentencing to death by burning at the stake for Joan of Arc. This area is rich in history. 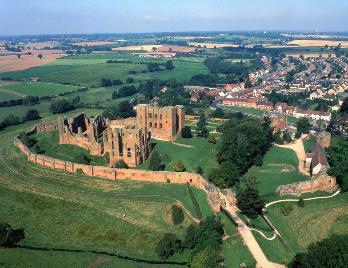 Most tourists coming to the Midlands head first to Stratford-upon-Avon and then to Warwick. And after Warwick Castle, St Mary’s Church is for the majority of visitors their next stop. It has the beautiful Beauchamp Chapel, where, among others, is the tomb of Sir Robert Dudley Earl of Leicester, favourite of Queen Elizabeth I; and also, in the adjoining Chapter House, the tomb of the ill-fated Sir Fulke Greville, who was murdered by his manservant in Warwick Castle. Perhaps the view of that tower connects me to a sense of story, and that’s why it inspires me so much. What do you think? Do you too feel inspired by mediaeval churches, castles, and other historical places? Why do you think we love them together with all their associated stories of past misdeeds and treachery? 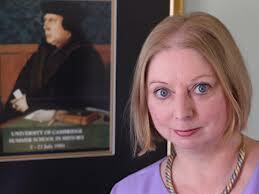 Hilary Mantel’s success in winning the Man Booker Prize for her novel “Bring Up the Bodies” has provoked many varying opinions of her work. For my part, I look forward to reading this second book in her Tudor Trilogy. Of course, how can Hilary Mantel possibly know? 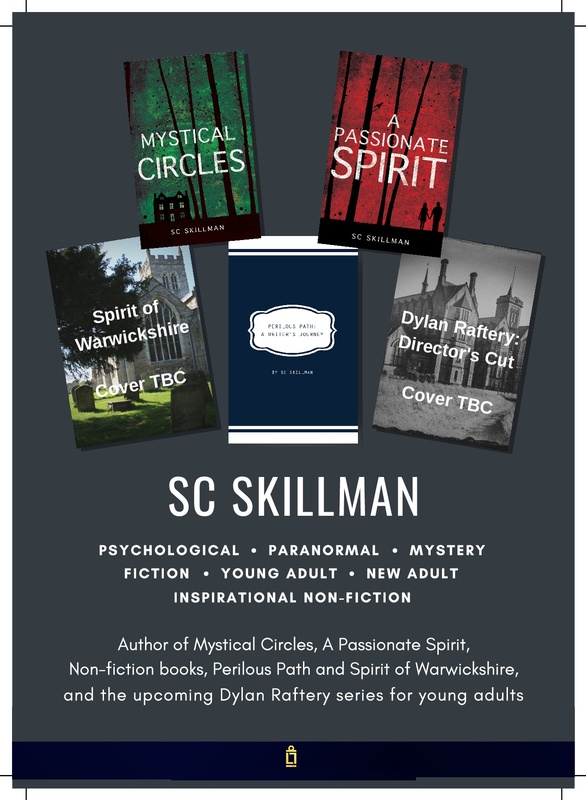 But when I’d finished “Wolf Hall”, I felt as if I’d been an insider in the world of Henry VIII. I bought the book following a friend’s recommendation. She said she found it so powerful that she couldn’t read anything else for a considerable amount of time after she’d finished it. And certainly, reading this book changed the view I previously held of Thomas Cromwell, whose mind we are in throughout the novel. Upon reading Hilary Mantel’s account of this man, I admire him and can understand his role in relation to Henry, and his extraordinary gifts as he navigated Henry’s changing whims. As to Henry himself… what was his prayer? That he might have a healthy, long-lived, legitimate male heir to take over the English Throne for the Tudors, and hold it strongly into the future. I can imagine now how he must have felt each time Katherine of Aragon and Anne Boleyn miscarried a child. He felt professionally devastated and personally anguished; frightened that he had incurred the displeasure of God; afraid that after having been in his hands the throne would go where he did not want it to go; afraid his hopes and dreams would never be fulfilled; afraid that this was God’s punishment. After all, the English Throne was his professional business, his livelihood, his calling. Now, of course, with historical hindsight, we can see how wrong he was: wrong to have Anne Boleyn beheaded; and wrong to have various people brutally slaughtered for not agreeing with his divorce, and for not thinking the right things at the right time about religion, and for thinking he, Henry, was wrong. But what should he have done instead, according to us with our historical hindsight? We may think he should have stuck with Anne Boleyn, forgiven her, and patiently and with forbearance lived out his life married to her. What actually happened? Ultimately the English Throne became strong and proud under a very long reign by the child Anne Boleyn bore him – notwithstanding the fact that this monarch was a female – a monarch who became in the eyes of many then and since, Britain’s best and most famous monarch: Elizabeth I. So we may well say that God answered Henry’s prayer – but not in the way he expected. This philosophical rumination has been inspired by “Wolf Hall” simply because so many of us are familiar with the Tudor story – but in fact the narrative of this, the first novel in the trilogy, only goes as far as the execution of Sir Thomas More leaving the downfall of Anne Boleyn still in the future. Perhaps the thing that most fascinated me about “Wolf Hall” is the way the reader follows through delicate, graceful, civilised conversations – gentle, balanced, measured… and then out of them comes a decision to burn someone alive, or have them hanged, drawn and quartered. Emotionally stirring, moving, shocking and instructive, what this book shows you about human nature will stay with you.